We flew into Vegas and rented the RV from there. 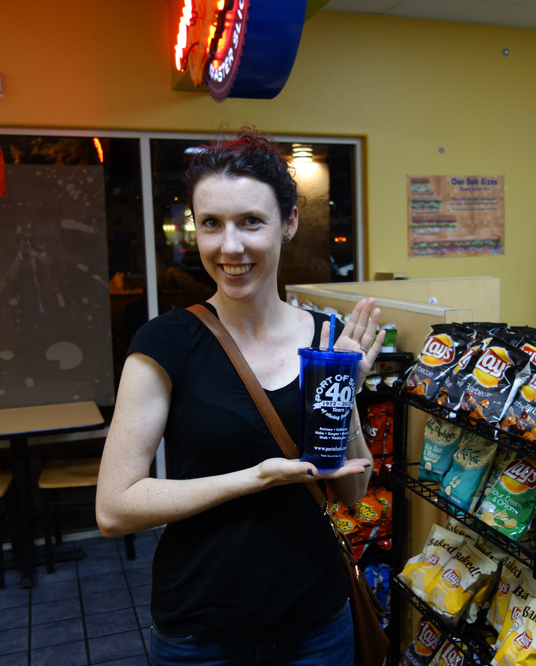 I got to eat at Port of Subs twice on the road – so tasty – and even brought home a souvenir cup. 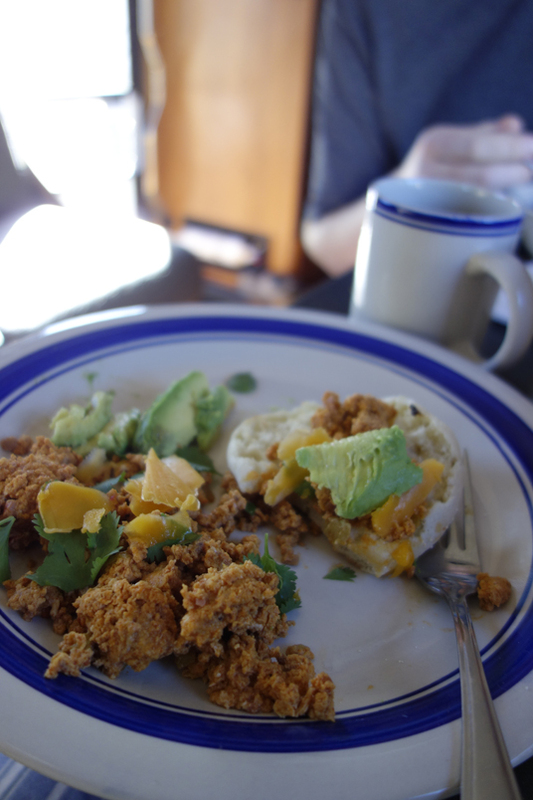 And cooked a lot of spicy southwestern food in the RV, including chicken pozole chili and chorizo eggs. 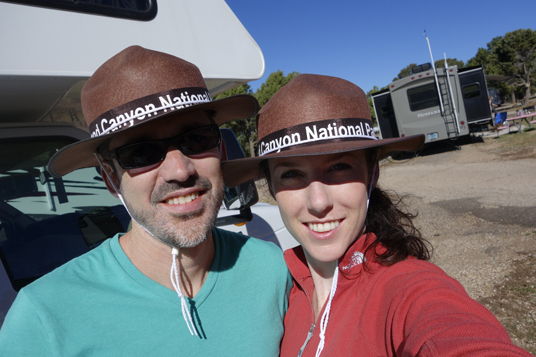 Rob and I wore these goofy souvenir ranger hats pretty much the entire time. They were actually pretty great in the sun. I also wore a bunch of fun southwestern-y outfits, including cowboy boots and turquoise jewelry, but didn’t get many photos of that on my camera before the battery ran out. Maybe someone else did, stay tuned. 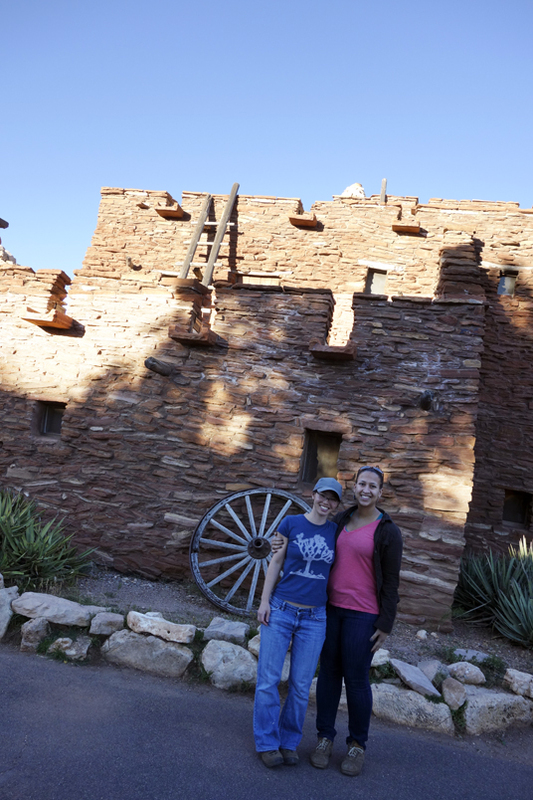 We hiked – both on the canyon rim and down the Keibab trail. 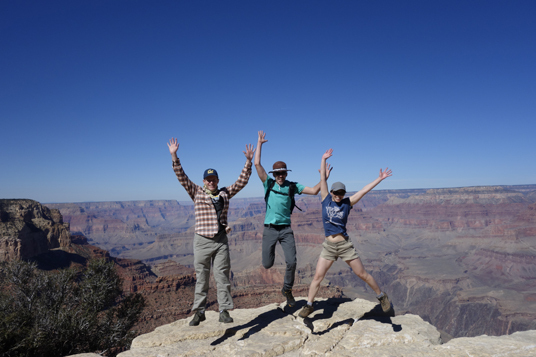 And saw the historic sights at the Grand Canyon. Prickly pear margaritas at the El Tovar for sunset. On the way back, we stopped in Williams for pie. 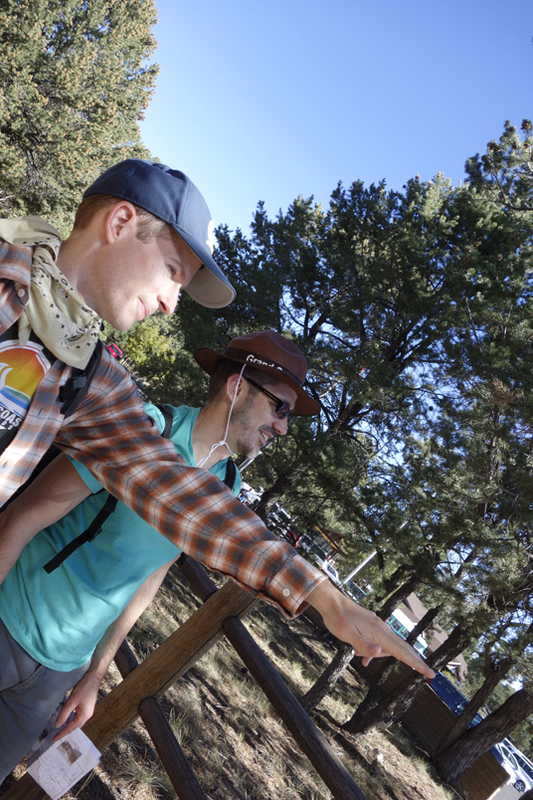 Supposed to camp at Kingman for the night – but, man, that town is not doing so well. So we went on to Bullhead City, across the river from Laughlin. Really tasty thai food in that town. Our final day was spent in Vegas after dropping off the RV. We walked around almost every casino and did a lot of upscale window shopping before flying back home late last night. These are the most adventurous people west of the Mississippi. Rugged, stylish, and fearless.